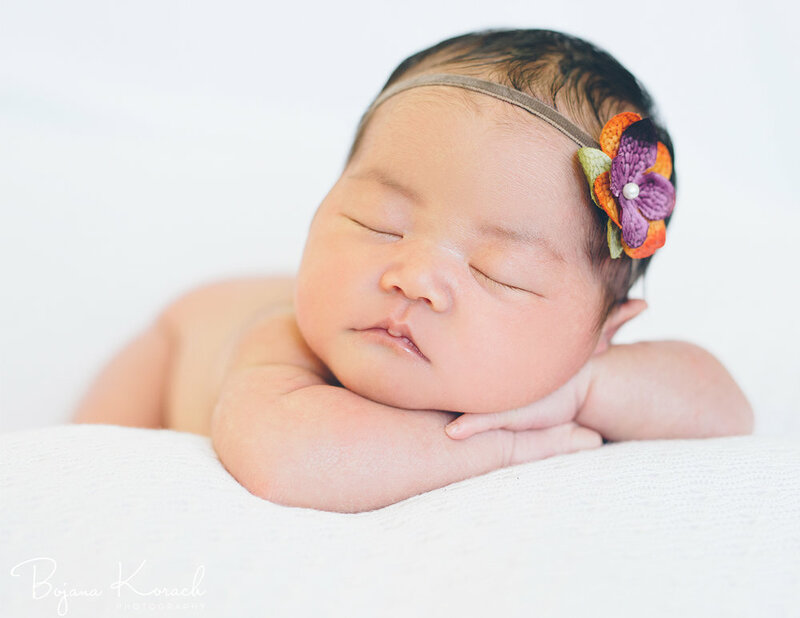 These are the 10 of my favorite images from a newborn session with beautiful Delilah Joy. This family has chosen me as a photographer on two occasions. First was when they had little Donovan and this time with sweet Delilah Joy. Both times I will remember forever. I swear, these are the nicest people you could ever meet. I felt so welcome in their home. I even had the most delicious coconut pie there. It's always a good idea to feed your photographer sweet goodies. As a newborn photographer I could not have asked for a better experience. At only seven days old baby Delilah did everything you would expect from a tiny human. She slept soundly only to be woken for a quick feed and a diaper change. Right after, she would continue her snooze fest and I would continue clicking. 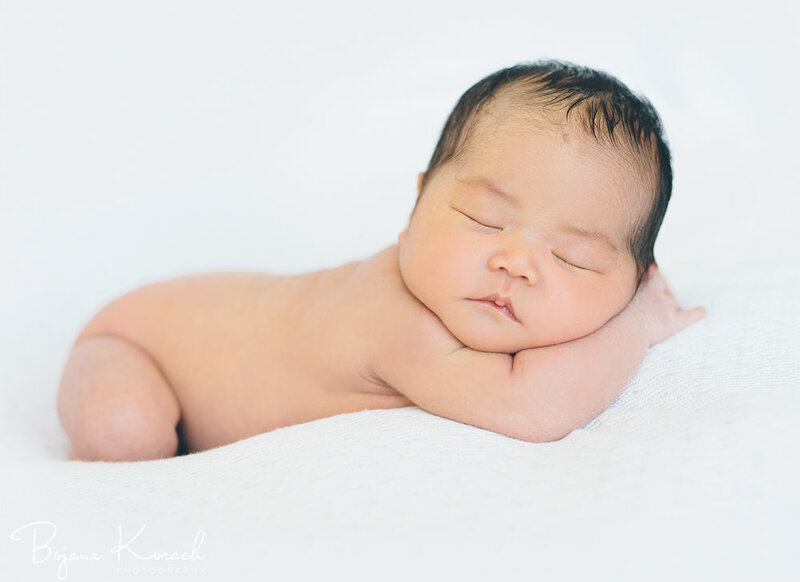 When photographing newborn session I mix two different styles. I shoot lifestyle but I also like to photograph close-up portraits of just the baby. My posing is very minimal as are the props that I use. The goal is to get natural and classic images that will last forever. Sleep or awake, newborn babies are so beautiful.